There is no universally accepted definition of CSR, but most of the definitions have to do with business having a positive impact on the community. Society and business are dependent on each other. Business provides jobs, products, and taxes while society provides workers, consumers, and policies. Neither can survive without the other so it makes sense for business and society to work together for the benefit of both rather than to continue at odds. Business decisions and social policies must be aligned for this to happen. So the present paper will cover and compare the various types and aspects of CSR done by various hotels in hospitality industry. 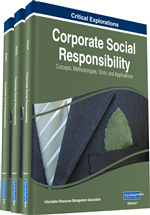 Corporate Social Responsibility involves “achieving commercial success in ways that honor ethical values and respect people, communities, and the natural environment” (Clark, 2006; Porter & Kramer, 2006). There is no universally accepted definition of CSR, but most of the definitions have to do with business having a positive impact on the community (Redford, 2005). Society and business are dependent on each other. Business provides jobs, products, and taxes while society provides workers, consumers, and policies. Neither can survive without the other so it makes sense for business and society to work together for the benefit of both rather than to continue at odds. Business decisions and social policies must be aligned for this to happen (Porter & Kramer, 2006). So the present paper will cover and compare the various types and aspects of CSR done by various hotels in hospitality industry. While there may be no single universally accepted definition of CSR, each definition that currently exists underpins the impact that businesses have on society at large and the societal expectations of them. Although the roots of CSR lie in philanthropic activities (such as donations, charity, relief work, etc.) of corporations, globally, the concept of CSR has evolved and now encompasses all related concepts such as triple bottom line, corporate citizenship, philanthropy, strategic philanthropy, shared value, corporate sustainability and business responsibility. CSR needs to address the well-being of all stakeholders and not just the company’s shareholders. The Companies Act, 2013 has introduced the idea of CSR to the forefront and through its disclose-or-explain mandate, is promoting greater transparency and disclosure. Schedule VII of the Act, which lists out the CSR activities, suggests communities to be the focal point. On the other hand, by discussing a company’s relationship to its stakeholders and integrating CSR into its core operations, the draft rules suggest that CSR needs to go beyond communities and beyond the concept of philanthropy. It will be interesting to observe the ways in which this will translate into action at the ground level, and how the understanding of CSR is set to undergo a change.